Youth are invited to fully participate as leaders in developing programmatic offerings and co-learning with other youth and adult leaders around topics of importance in our community. Youth also participate in Sunday Services, organize social events, engage in Social Justice activities, and build community with each other and others at UUFNN. Youth also participate in various fundraising activities throughout the year to help pay for sending youth representatives to district/regional youth conferences, UUA General Assembly, and other large-scale events. Once per month, our youth (7th-12th grade) are invited to attend Brunch Bunch at a local restaurant. Join us for community building, socializing, and monthly themes for discussion. Gather at UUFNN at 10:15am with your own money. Ask our acting Director of Religious Education if you need support! Permission slips are required for these monthly field trips. 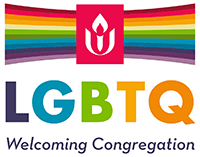 MUUGs is the Middle School Unitarian Universalist Gatherings, a program which serves youth in 6th-9th grade in our Pacific Central District of the Unitarian Universalist Association (PCD-UUA). Come meet youth from California and Hawaii for a weekend of building community and deepening UU values. Information will be sent to families as it is available.